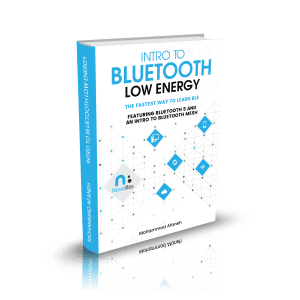 Online training and community for embedded engineers to help each other advance in Bluetooth Low Energy development. "Bluetooth 5 & Bluetooth Low Energy: A Developer's Guide"
"Mohammad Afaneh has been instrumental in working with our Allegion engineers to quickly further our understanding of Bluetooth Low Energy and making leaps in our security products very quickly." "Mohammad keeps abreast of the latest BLE requirements, tools, and techniques, and doesn’t hesitate to share his knowledge."